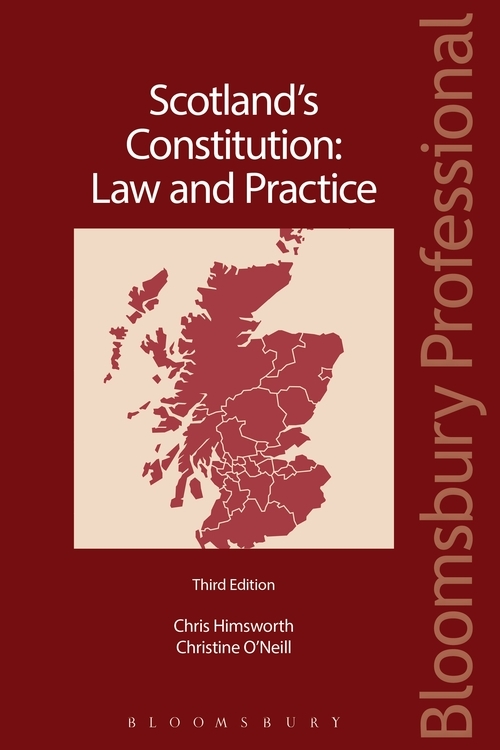 Scotland's Constitution: Law and Practice, 3rd edition is a clear, comprehensive account of the Scottish dimension of constitutional law within its UK and European context. 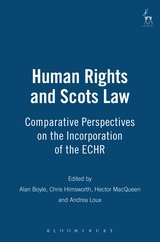 It describes and analyses constitutional arrangements while integrating that analysis with a general background to constitutional law and the UK institutions which have a continuing relevance for the government of Scotland. 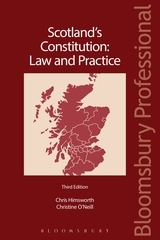 This highly regarded text considers law-making powers for Scotland, the legislative process at Westminster and at Holyrood, the accountability and scrutiny of government, the independence of the judiciary and the role of the courts in interpreting and adjudicating upon constitutional and administrative law questions. The third edition has been fully updated throughout and incorporates changes brought about by the Scotland Act 2012. There is expanded consideration of the constitutional review of Acts of the Scottish Parliament. This edition also includes coverage of the Scottish Independence Referendum. This text provides an essential introduction to constitutional law for law students and for others with a general interest in this subject. Chris Himsworth is Professor of Public Law at the University of Edinburgh.